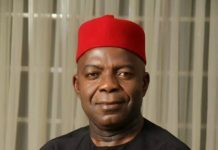 It is no longer news that leading opposition parties in the last gubernatorial election in Abia State have gone to the tribunal, seeking to upturn the fraudulent result that was announced in favour of the cozener party, the PDP. 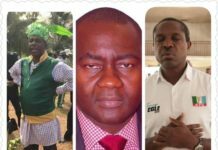 But the public is yet to know the fulcrum upon which they seek to retrieve the mandate of the people from the malingering kleptomaniacs who represent dark elements within Abia State. 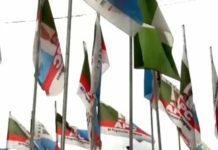 Details of material evidence obtained by APGA from INEC, shows that the candidate of the All Progressives Congress, APC, won the gubernatorial election. Because evidence presented by the parties before the Election Tribunal, shows that there was outright rigging in 6 local government areas of Abia State. 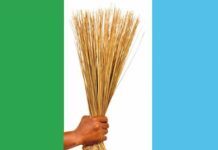 PDP in their desperation to retain power, left their flanks open, thereby leaving opposition parties with substantial evidence that will help APC void their purported win and go on to claim victory at the tribunal. 1. From the materials presented by APGA and other parties before the election tribunal, it is evident that Card Readers were not used in 6 local government areas in the election. 2. PVCs used in many of those local government areas were not by the original owners. PDP simply connived with compromised INEC officials to acquire these PVCs and handed them over to their agents who simply paid anybody in sight to use them to vote for their party and to do multiple thumb printing, since these PVCs were originally registered in the Card Readers. But a simple forensic audit on the ballot papers will proof that thumb prints on ballot papers in these local government areas does not reflect the use of PVCs by original owners, thereby invalidating these votes ab initio. 3. The Electoral Act As Amended, mandates the use of Card Readers. 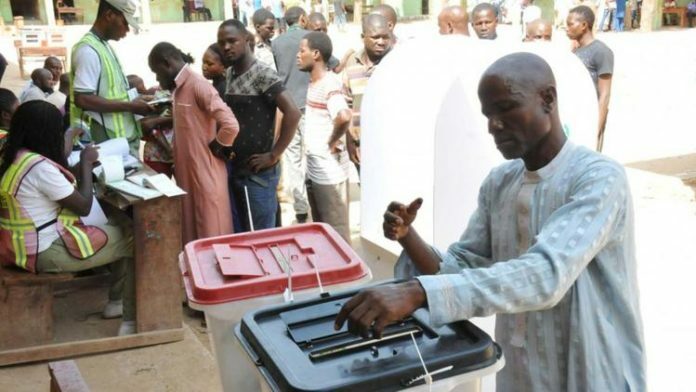 Which means that in those 6 local government areas were Card Readers were not used, results will be outrightly minused and the remaining local government areas will be used to determine the winner. Plus and minus the real results gotten from these 6 local governments areas. 4. 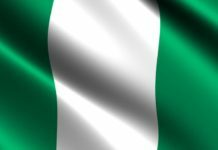 Results according to 2010 Electoral Law, were supposed to be collated from the polling units to the ward and to local governments before they are announced at the state collation centres. But in a bid to hasten the announcement of the rigged gubernatorial election in Abia State, they omitted ward collation centres in many local government areas. Thereby invalidating results from such areas. 5. To add salt and pepper on their injury, PDP mandated its agents to beat up opposition party agents in many local government areas and chase those perceived to want to vote for opposition parties away. In some cases, they kidnapped opposition party agents and denied them the opportunity to participate and to sign Form EC8A result sheets. In other cases, PDP agents signed on behalf of opposition party agents that were chased away but these signatures did not reflect the original signatures for which these party agents were known. Thereby, the PDP was engaged in forgery and monumental manipulation that exposed their criminal gang up against Abia voters. 6. Just a simple forensic audit on electoral materials used in Abia State gubernatorial election will do them in. In the final analysis, Abia State PDP have been caught in its own web and the will of the good people of Abia will prevail. This explains their determined effort to blackmail opposition party candidates, to stop them from going to the tribunal. They have been pushing some infantile narratives that suggests that by going to the tribunal, these criminal elements in government would be distracted from performing. A devious move that is meant to deceive the Abia populace, to gain sympathy for the criminal gang and to paint opposition party candidates black. But the real issue is that Abia PDP is stringing efforts to escape from its violent and fraudulent manipulation of the outcome of the last gubernatorial election, having spent over 15 Billion Naira to achieve this criminal outcome. Unfortunately for them, opposition party candidates in the last gubernatorial election in Abia State are not people they can handicap ; they are determined to get justice for the good people of Abia State, to end the regime of criminality and impunity that has been enthroned by the PDP in Abia State. 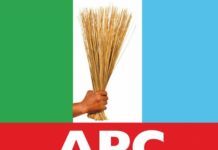 And as it stands, APC candidate will be declared the winner based on evidence provided by APGA.